Moses took a tent and pitched it far outside the camp of Israel. 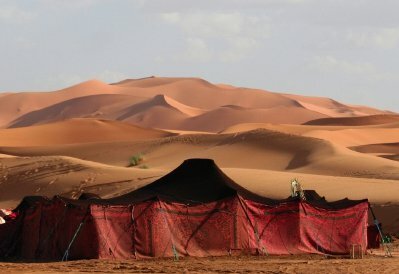 He called it Tent Mo'edim. This was not the tabernacle in the midst of the camp. That sanctuary had not yet been built. Tent Mo'edim was a common, ordinary tent set aside for a special purpose: meeting Yahuwah at His appointed times. Mo'edim is translated as: appointed time, congregation, assembly, days, sign, synagogue, season, and feast. This list of words does not capture the full meaning of the Hebrew word, however. The Creator is very specific about which times are appointed for worship. In the beginning, He created a time-keeping system, a calendar, by which His appointed times, His mo'edim, are calculated. The lights in the heavens were designed to measure time by their movement. Without movement there is no time measurement. The sun was given to measure days . . . and years. The moon measures months, or lunations, as a part of a year. Six work days followed by a seventh day of rest was the pattern for the week. This smaller segment of time within the month was established at Creation. The modern pagan/papal calendar has continuously cycling weeks. 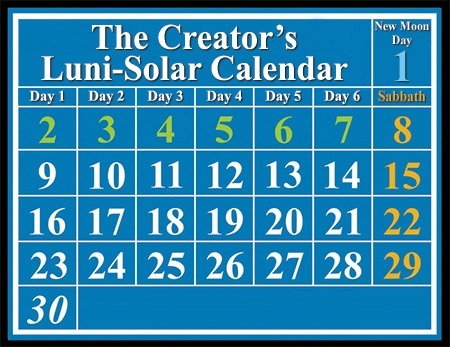 The calendar of Creation restarted the weekly cycle after each New Moon day. Thus, every time a date is given for a seventh-day Sabbath in Scripture, it is always the 8th, 15th, 22nd or 29th of the lunar month. The heavenly Designer created the moon specifically for measuring His times appointed for worship, His mo'edim. "He created the moon for mo'edim, His appointments for worship." These divinely appointed times can only be found on a calendar that uses the moon for time measurement. Leviticus 23 quotes Yahuwah as saying that the seventh-day Sabbath and the yearly feasts are all His mo'edim, His times appointed for worship. And Yahuwah spoke to Moses, saying, "Speak to the children of Israel, and say to them: 'The feasts [appointed times] of Yahuwah, which you shall proclaim to be holy convocations, these are My feasts [appointed times]. it is always the 8th, 15th, 22nd or 29th of the lunar month. 'Six days shall work be done, but the seventh day is a Sabbath of solemn rest, a holy convocation. You shall do no work on it; it is the Sabbath of Yahuwah in all your dwellings. 'These are the feasts [appointed times] of Yahuwah, holy convocations which you shall proclaim at their appointed times [mo'edim]. 'On the fourteenth day of the first month at twilight is Yahuwah's Passover. And on the fifteenth day of the same month is the Feast of Unleavened Bread . . . [And the priest] shall wave the sheaf before Yahuwah . . . on the day after the Sabbath . . . .
'In the seventh month, on the first day of the month, you shall have a Sabbath, a memorial of blowing of trumpets, a holy convocation . . . Also on the tenth day of this seventh month shall be the Day of Atonement. It shall be a holy convocation for you . . .
'The fifteenth day of this seventh month shall be the Feast of Tabernacles for seven days to Yahuwah. Leviticus 23 establishes that the seventh-day Sabbath and the yearly feasts are all mo'edim: times appointed for worship. They are all precious gifts, calculated by the Creator's designated luminary, the moon. In addition to being the measurement of time, the Creator assigned the heavenly lights to function as a sign of loyalty which separates the obedient from the rebellious. Yahuwah's calendar system is the sign that separates the Children of Light from the Children of Darkness. Throughout all eternity, Yahuwah's faithful will unite in pledging their loyalty to the Creator by worshipping Him on His appointed times, His mo'edim. All flesh shall come to worship before Me," says Yahuwah. Do you want to pledge your allegiance to your Creator? Join with the faithful and loyal in heaven and on earth. Worship the Creator on His appointed times, calculated by His clock: the moon. 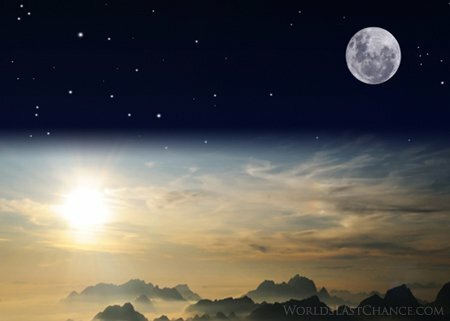 Can we work on New Moon day?